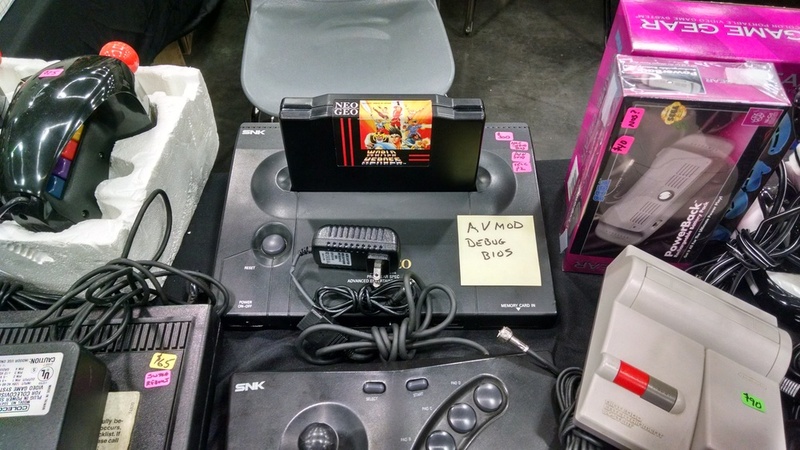 Portland Retro Gaming Expo was last weekend and it was well worth the journey. It didn't matter what people were there for, from the arcade games and pinball, Tetris World Championship, to the panels and the vendors there was something for every kind of gamer. 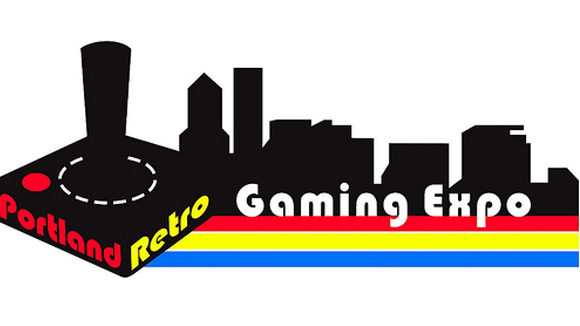 This may be the best retro gaming expo the United States has to offer. Bold words from someone who had the chance to attend in 2010 and the Expo has grown. Gone are the times of being crammed into a few meeting rooms in a hotel. Instead PRGE gets a corner of the Convention Center. This means more room for the arcade, vendors, and panels. There so many great vendors with many items for sale. If someone was looking for a boxed Sega CDX, a Xbox Dev Kit, a JVC X’Eye for under $100, a Neo Geo AES, Panasonic and Goldstar 3DO’s, and boxed copies of Earthbound. If gamers were looking for anything produced in the last 30 years this convention might have had it. There were large amounts of common stuff, perfect for users looking to start a collection. There were loose Game Gears, Game Boys, NES, controllers for everything, and bins of Atari and Genesis games. Most of the vendors were willing to haggle as well. Come Sunday afternoon when they really wanted to haggle, smart shoppers could get quite a discount. I picked up a few things for myself and I almost bit on a $40 Saturn. There were a few vendors selling repo carts and these were hot items. People really wanted to play Mother 1 and 2 or one of the many Homebrew Zelda SNES games with custom boxes. Other vendors had pixel art, gaming art, posters, and many other great products to decorate your game room. The Arcade was full of classic games and everything from the 80s to games more recent. I played Mortal Kombat II and King of Fighters. I also checked out the pinball area which was busy most of the time. I did see a Baby Pac-Man, which is a machine I had seen only one other time. The most popular arcade game by far was the 5 on 5 Killer Queen. Killer Queen reminds me of Joust, but there is so much more from grabbing the pellets, to trying to kill the workers, this game has a lot of potential. I would say the arcade overall was better than what PAX Prime offered this year. The other parts of the show such as the Tetris World Championship had a large group of people playing. The console freeplay was full of people replaying NBA Jam, Super Mario World, and several other games. This area was huge compared to when I attended in 2010. I would say there were close to 50 free play consoles. I did attend one panel, Console Wars, which featured Blake Harris, Al Nielson, and Tom Kalinkse talking about Sega and the great console war with Nintendo. There were after hours concerts and the arcade remained open until the late into the night. I am really glad to see the show expand and grow. 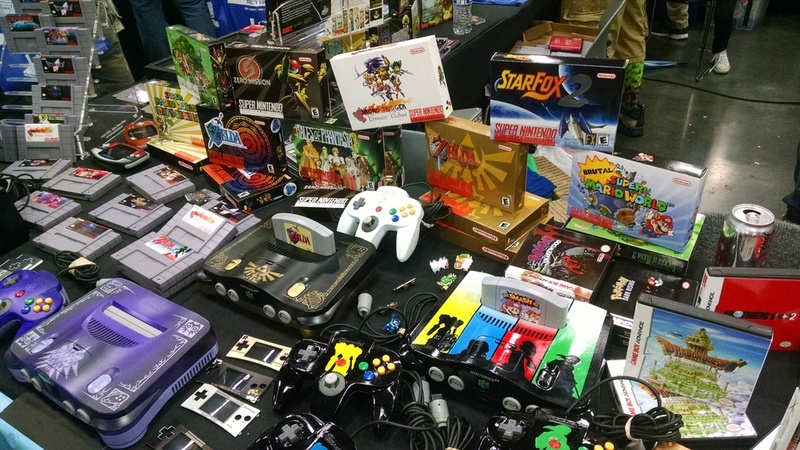 This might have been the largest retro gaming expo Portland has had. It was all over the news and there was advertising on the street. There were a few booths with Indie Retro games which could open all sorts of doors for the future of the show. If you are a fan of retro games, whether it is to play or collect, this is a must attend show.